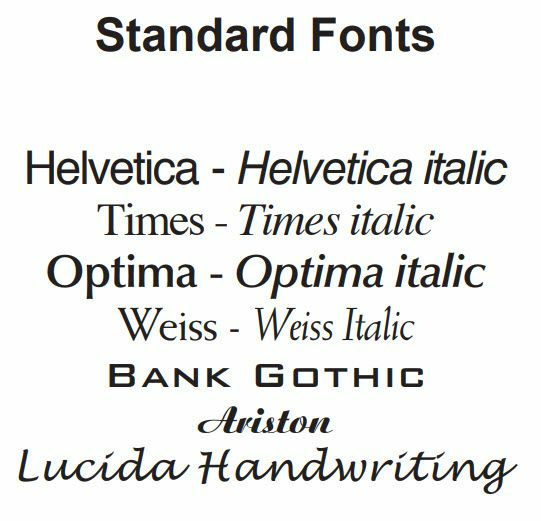 One Time Laser Engraving Customization Fee of $15.00 will be added to your total. 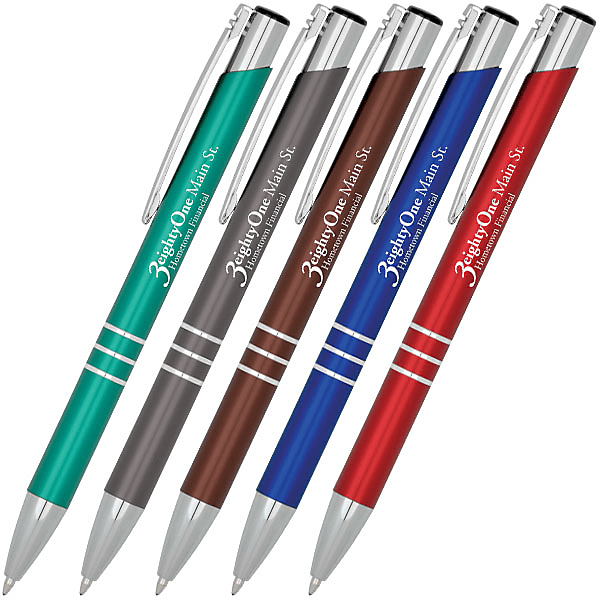 These fun custom metal pens have a brushed satin finish with silver detailing and accents. 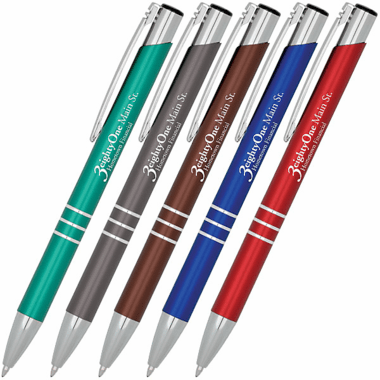 You can include three lines of text on your message which is laser engraved on each pen. The imprint area is 2" w x 0.75" h.